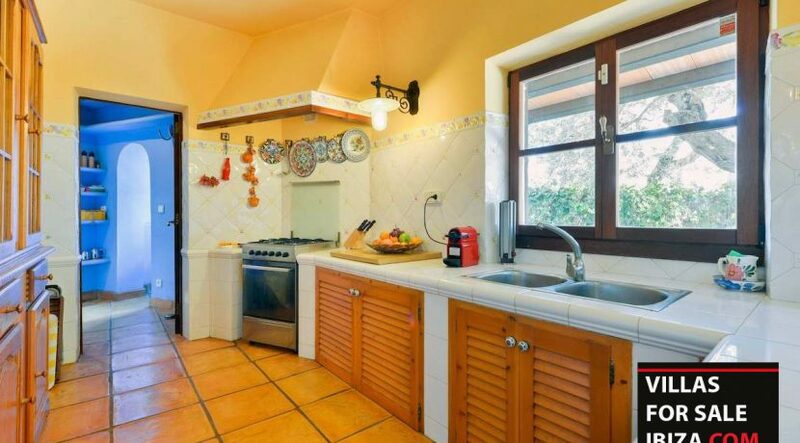 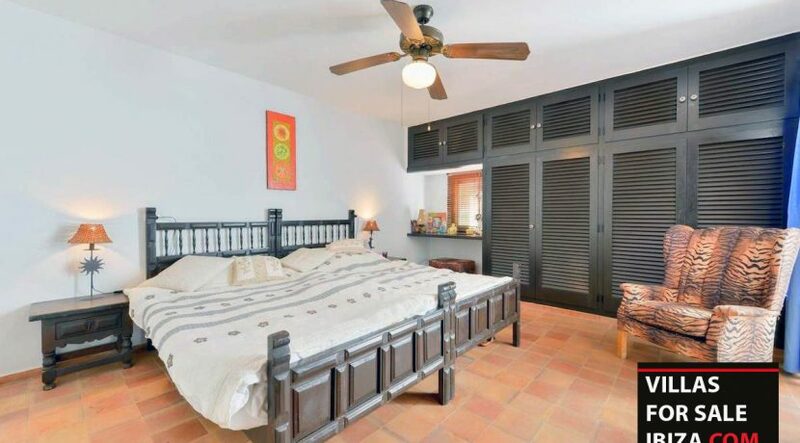 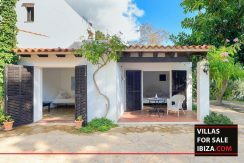 Villa For Sale – Colonial style villa partially renovated and updated. 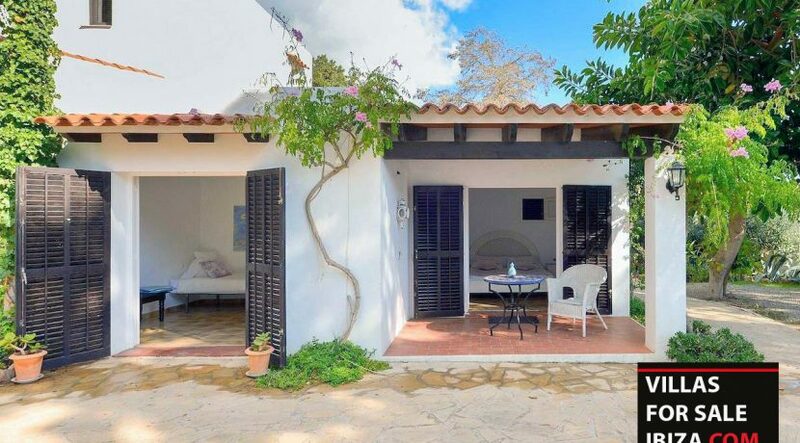 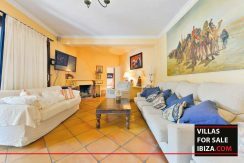 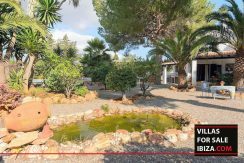 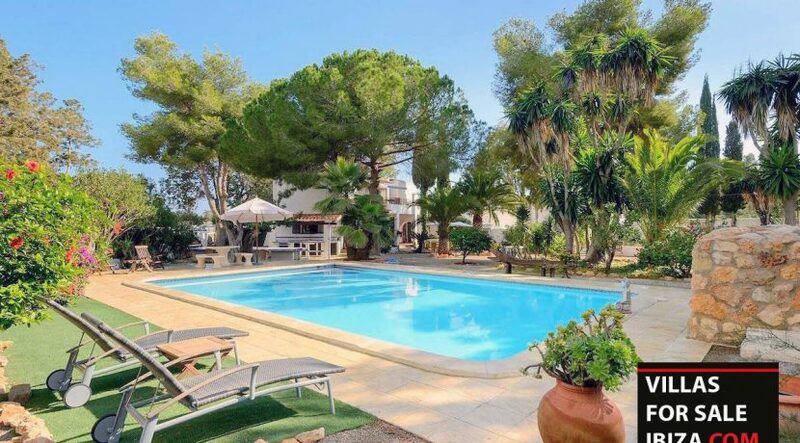 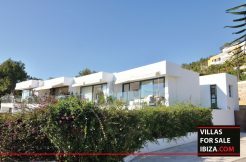 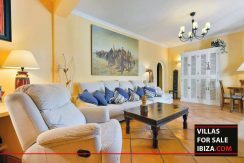 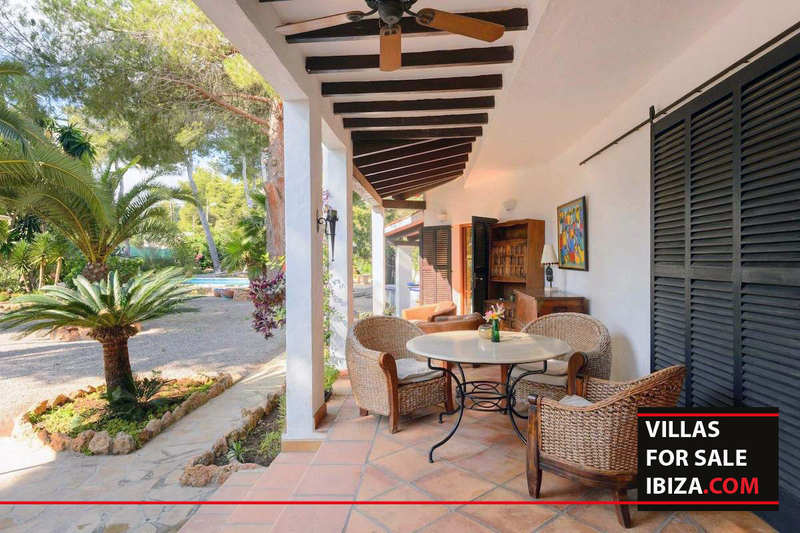 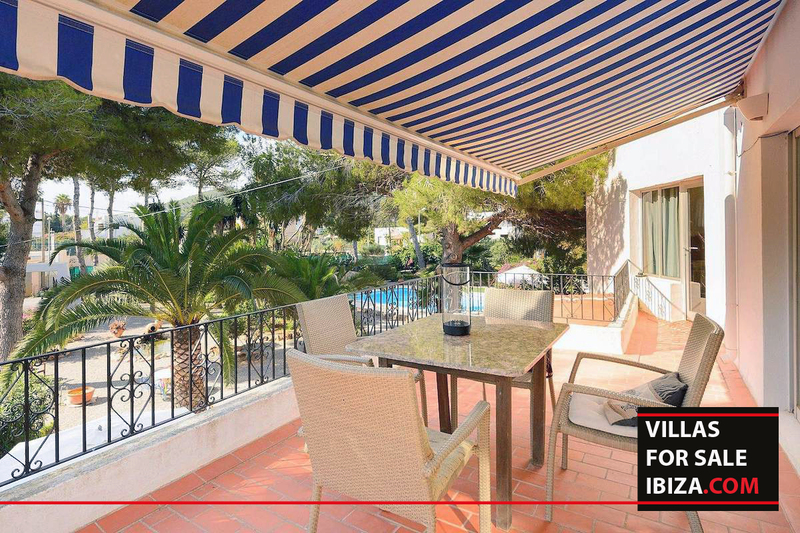 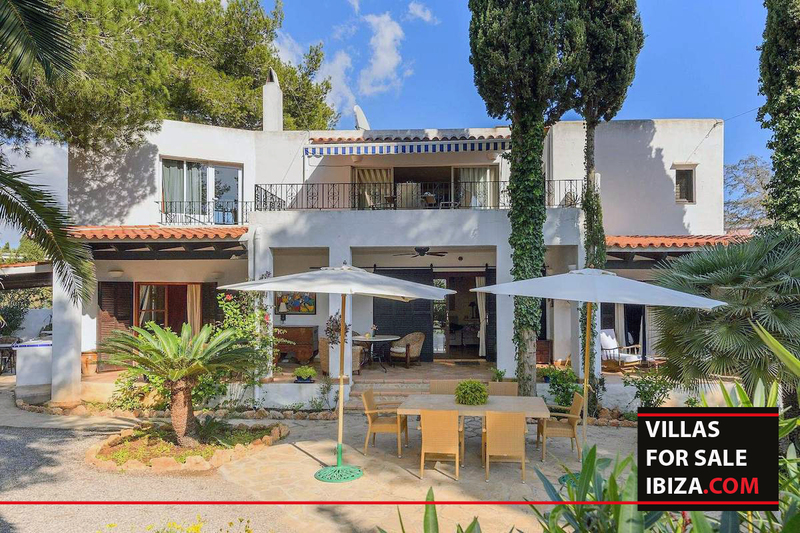 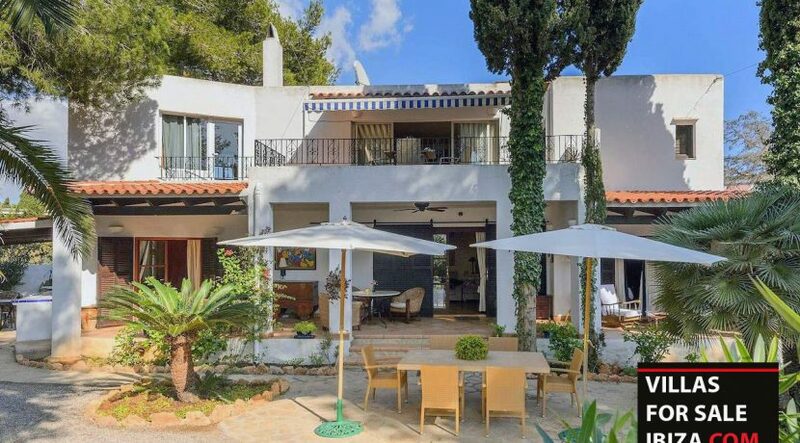 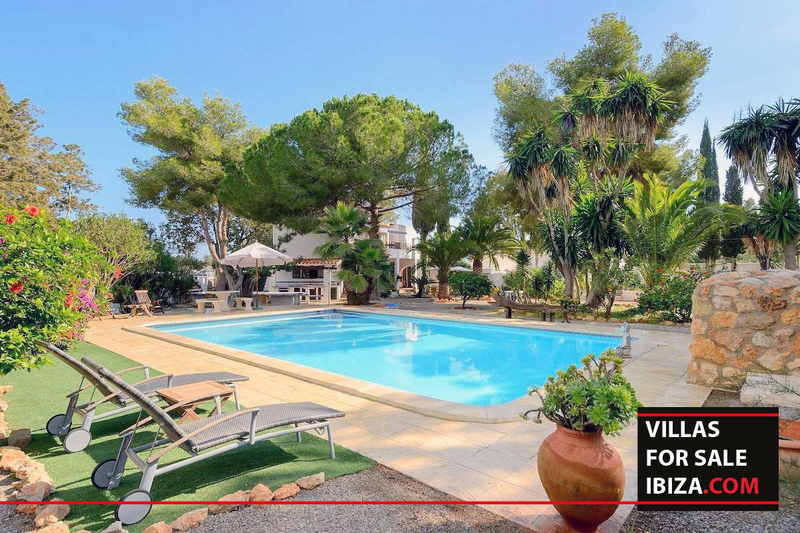 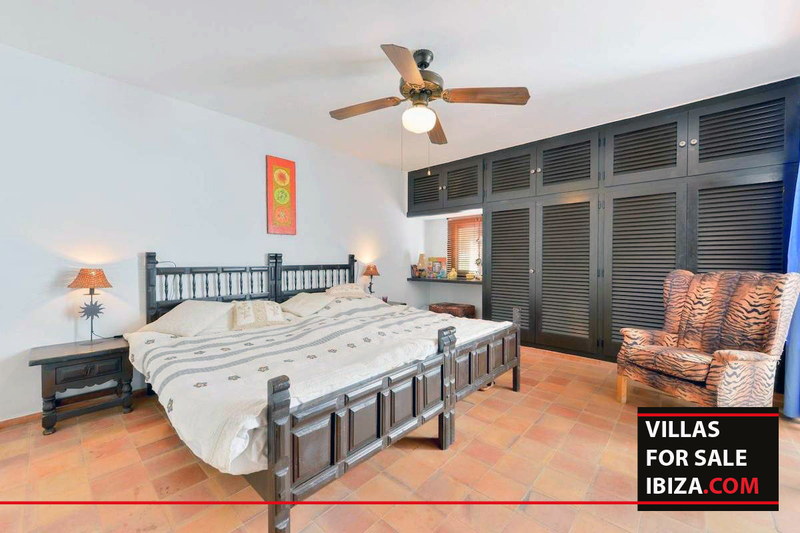 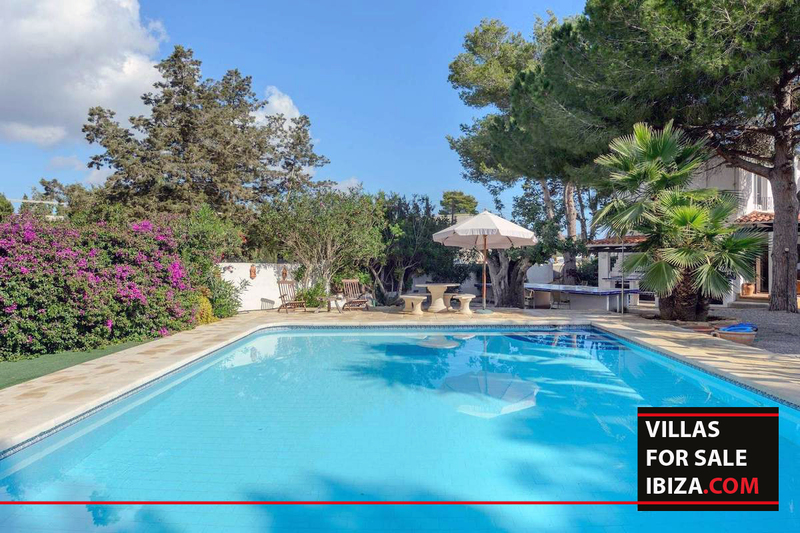 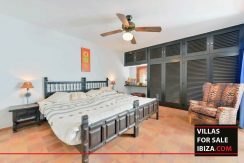 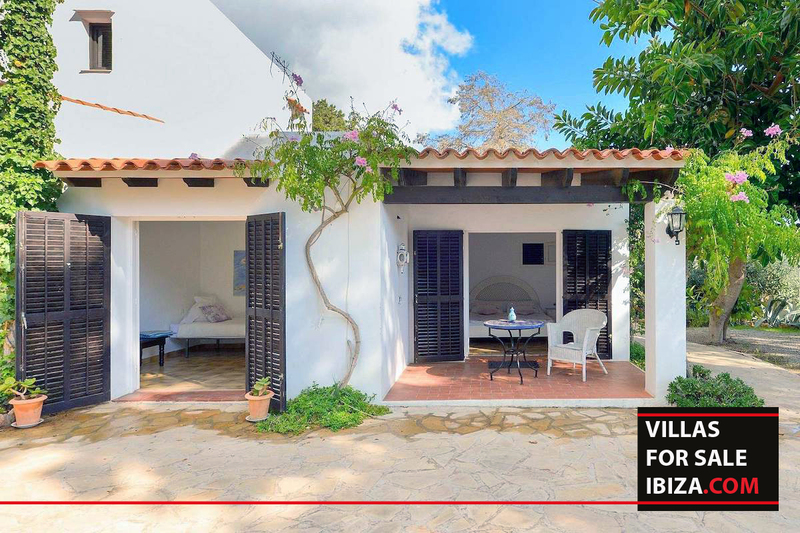 This spacious villa is located in the country of Santa Eulalia, just few minutes away from the city center and guaranty quality of privacy. 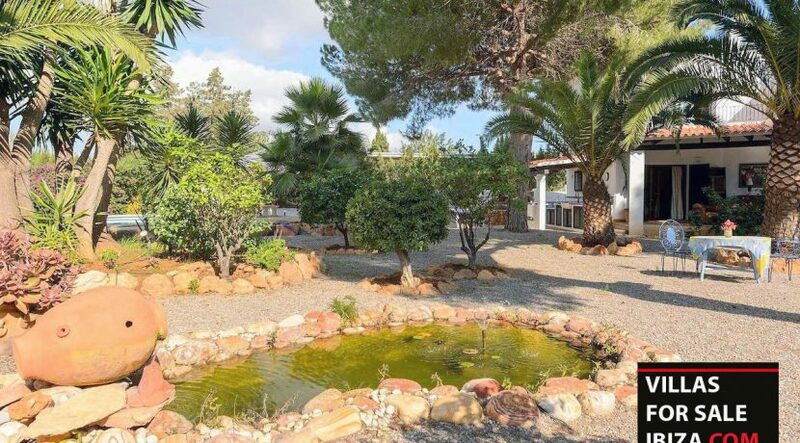 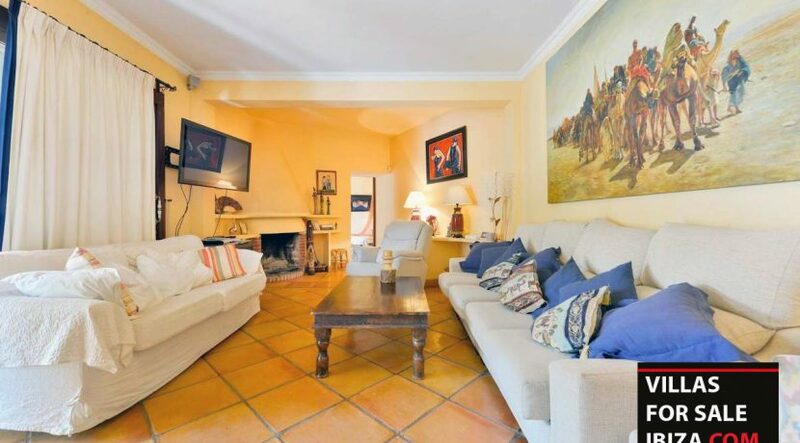 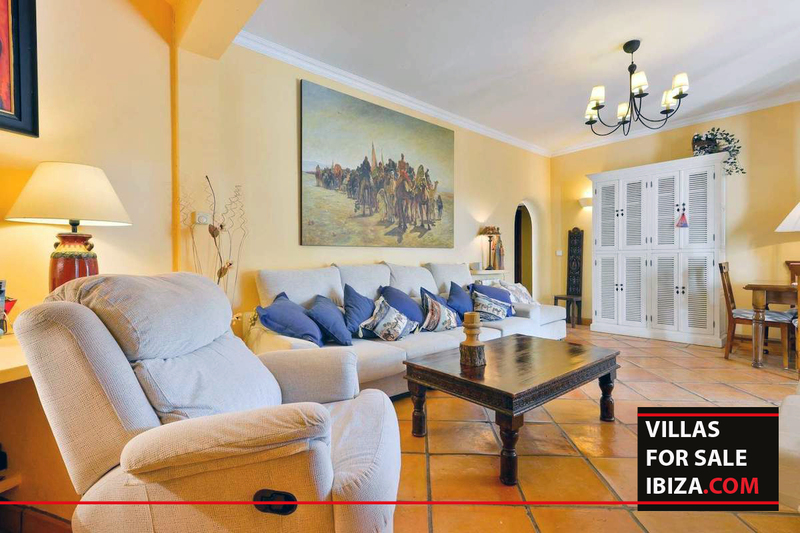 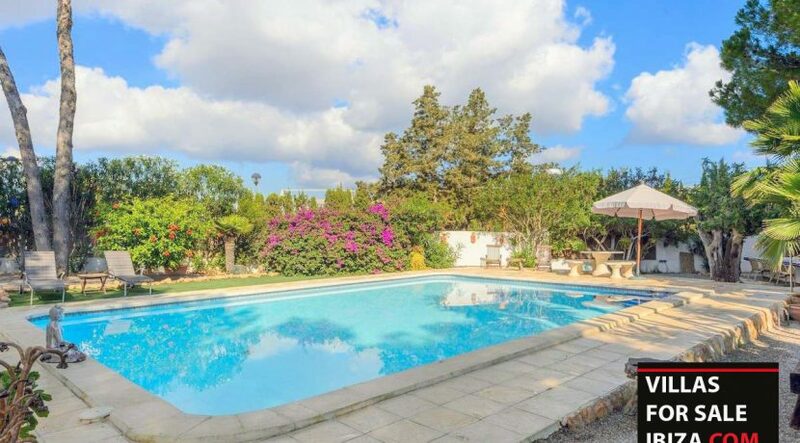 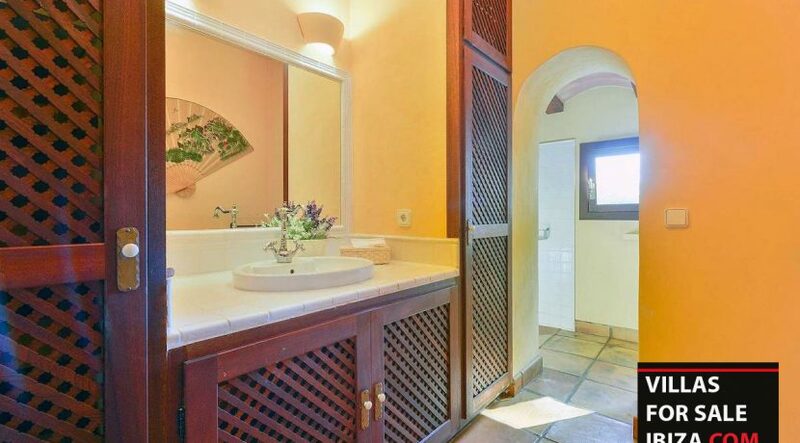 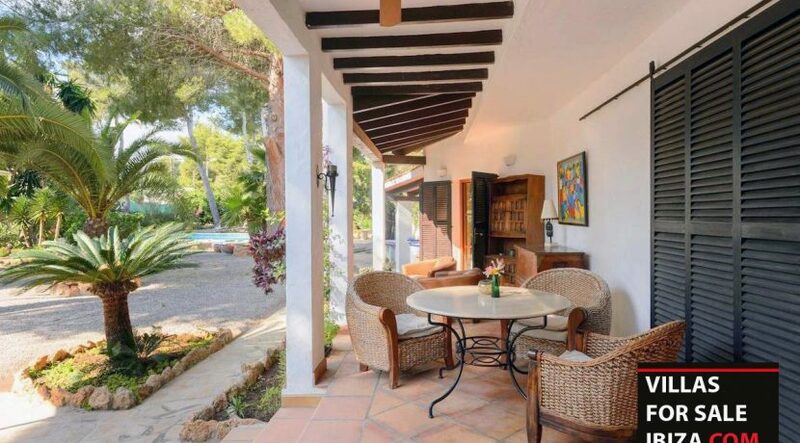 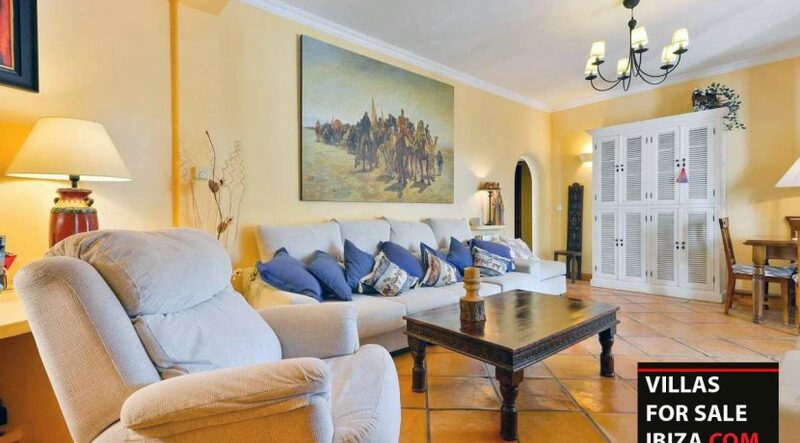 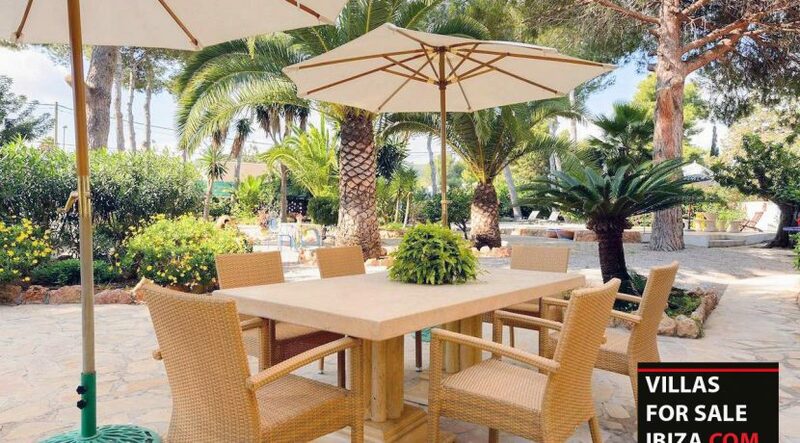 The property has a plot of 2205 m2 and the whole villa has a living surface of 329m2. 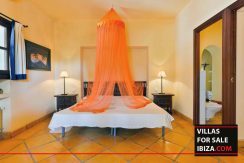 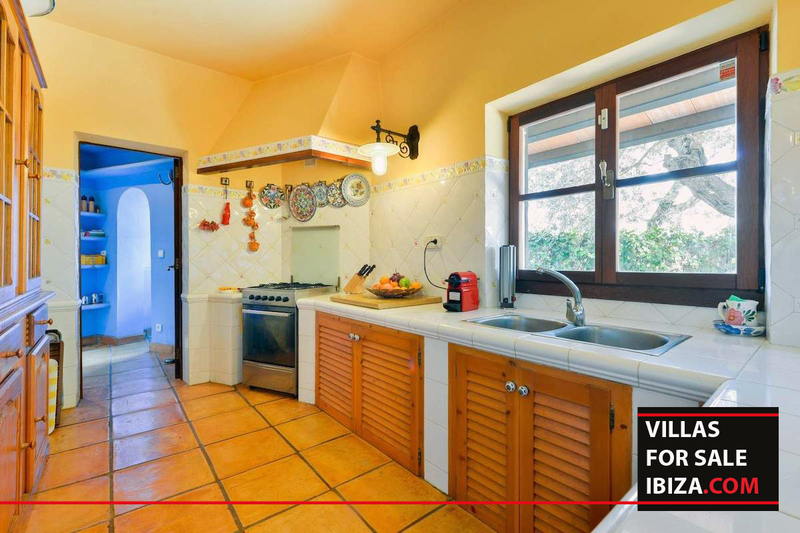 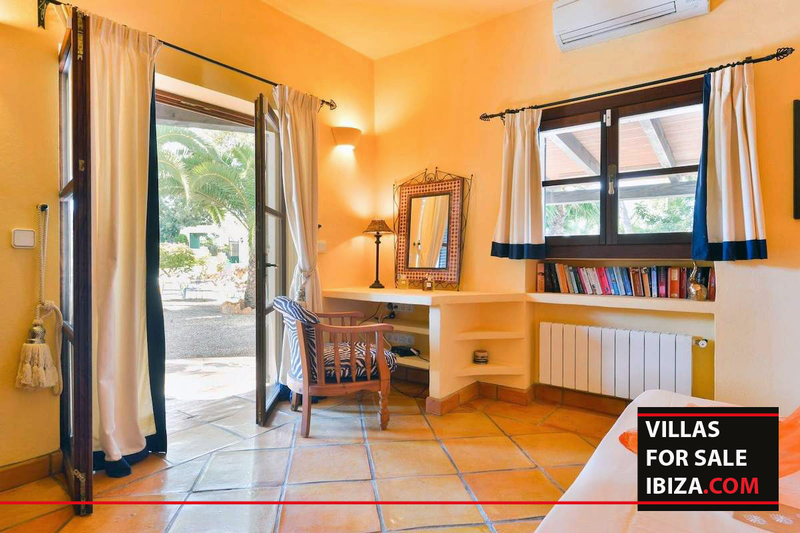 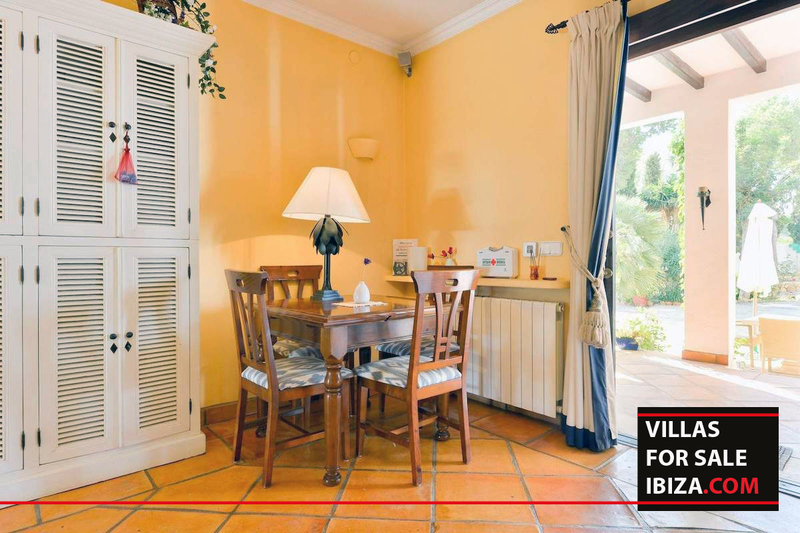 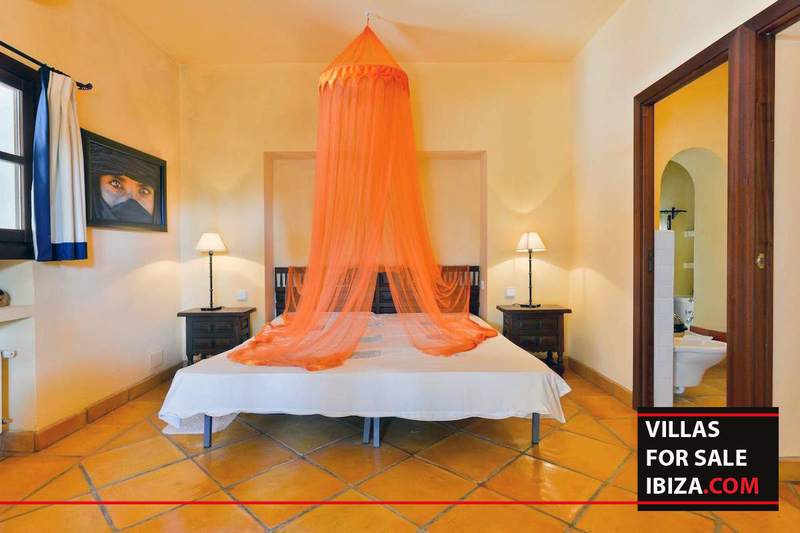 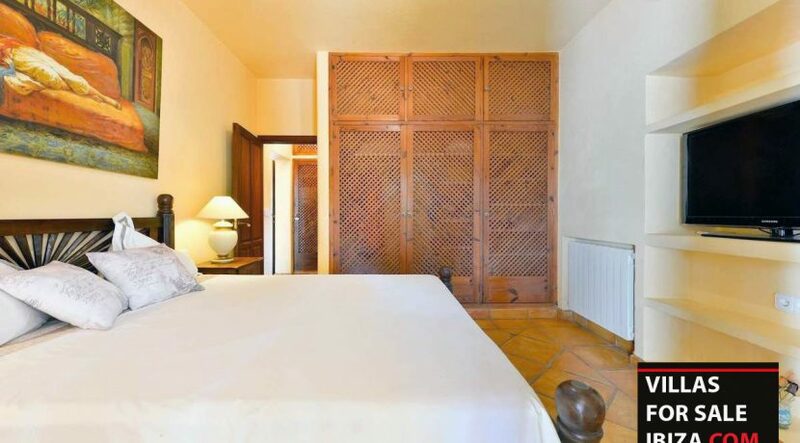 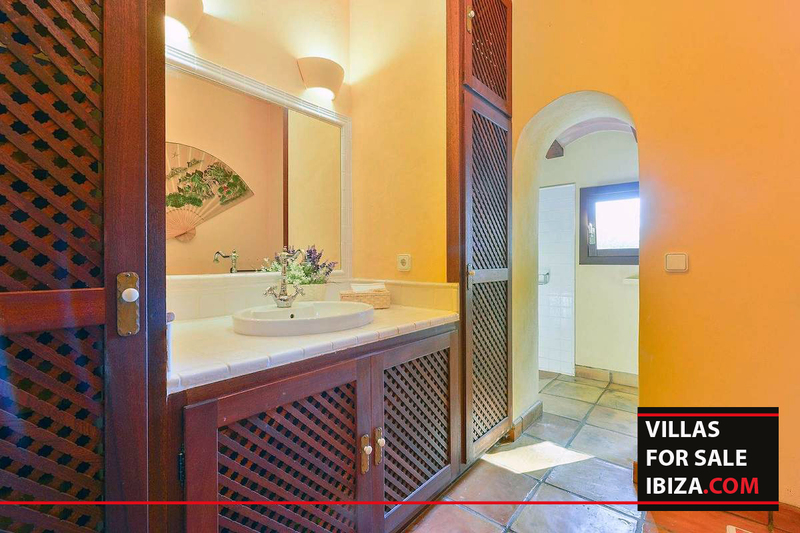 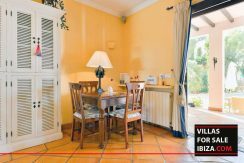 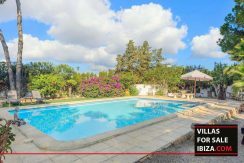 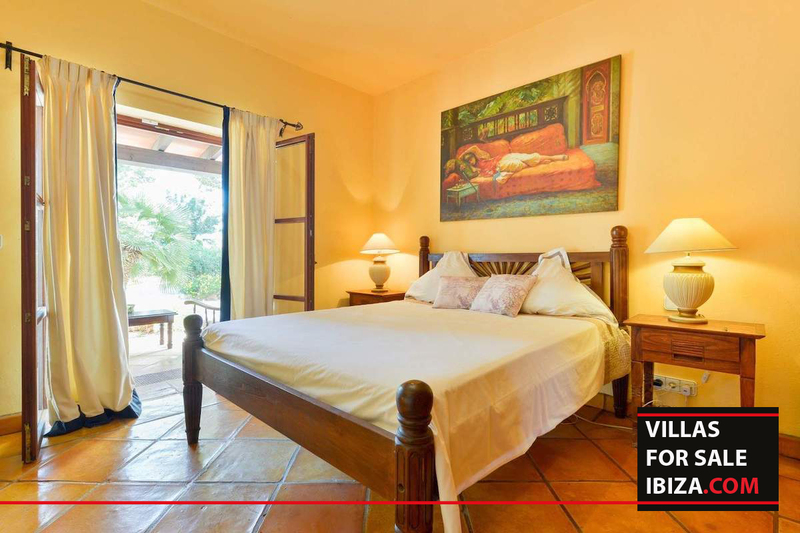 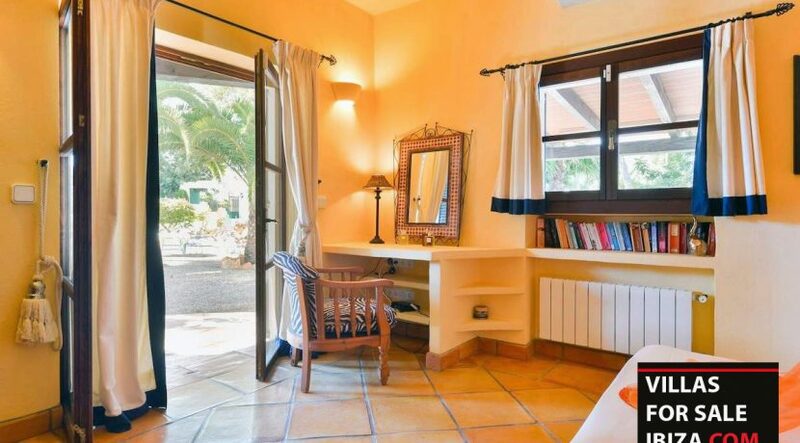 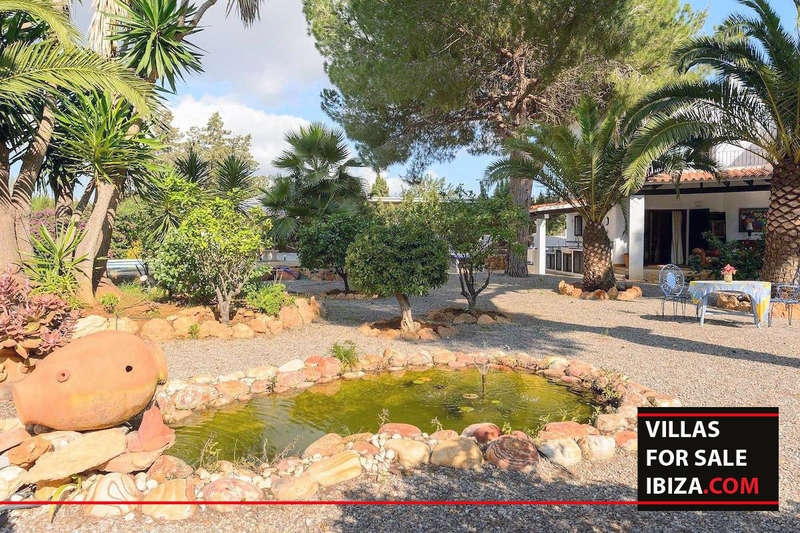 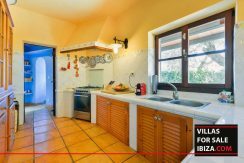 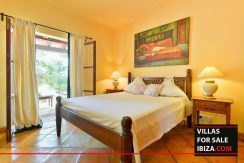 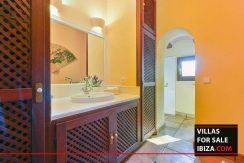 The villa is divided into different parts first you have the main house all distributed on the ground floor, you will find 2 en-suite bedrooms, a large fully equipped kitchen, a bright living room with a fireplace and a separate laundry room. 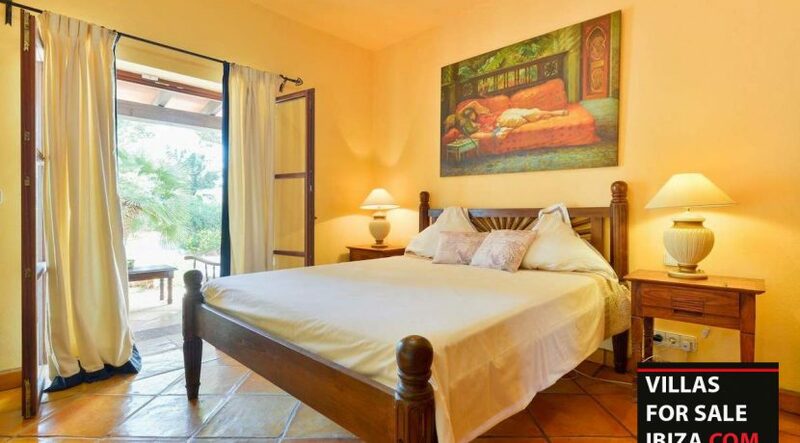 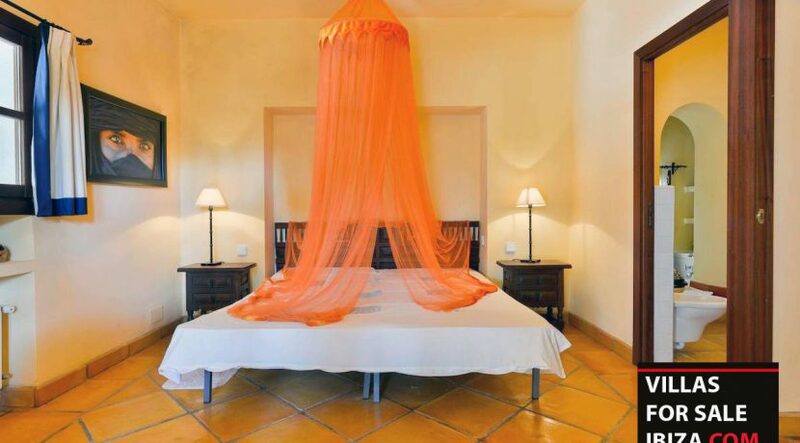 Located on the ground floor adjacent to the main house, there is a 2 bedroom apartment with a full bathroom. 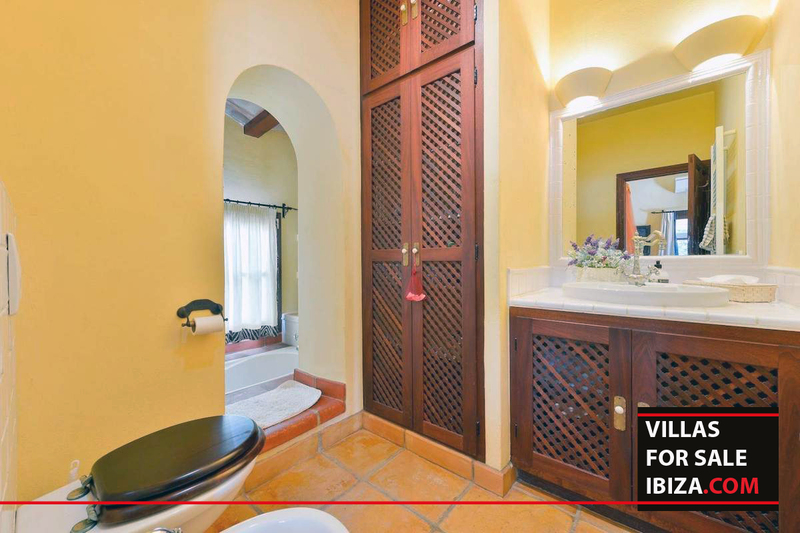 It has is own private entrance and direct access to the backyard garden. 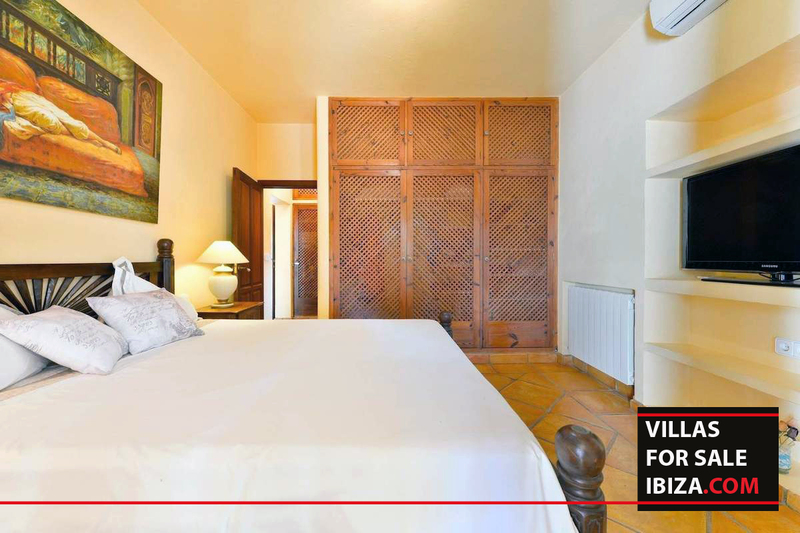 On the upper floor, you will find 2 extra apartments which need some improvements. 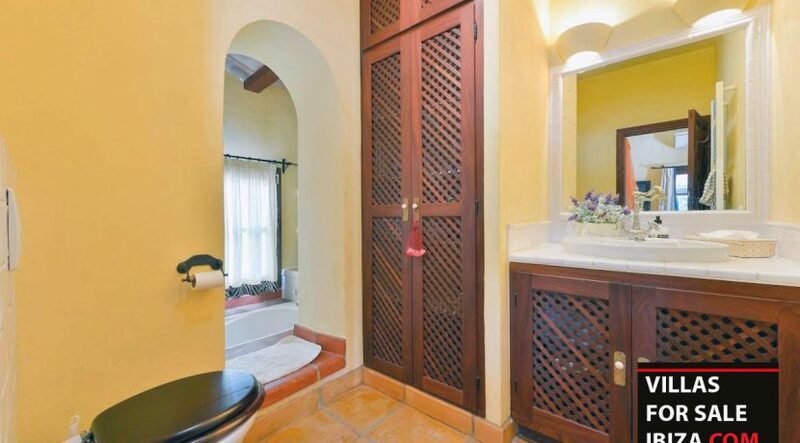 One is a studio apartment equipped with a shower bathroom. 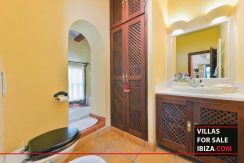 The second one is a larger 1 bedroom apartment also equipped with a shower plus, an open concept living room, and kitchenette. 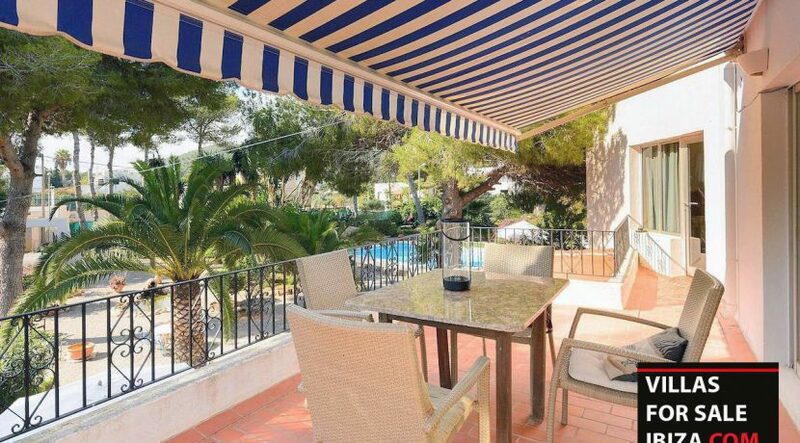 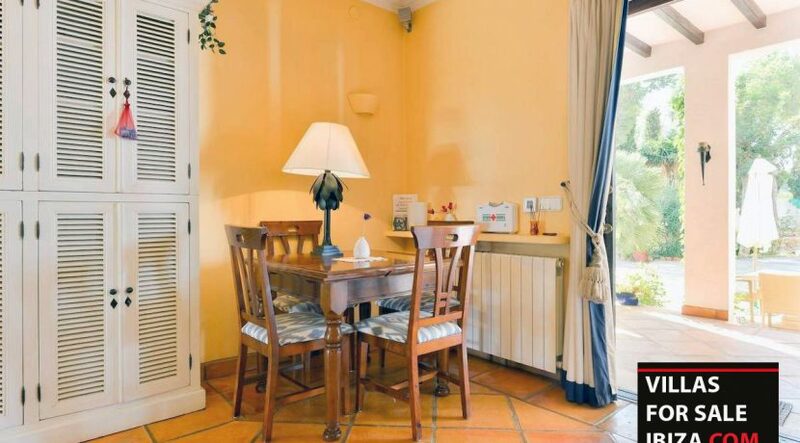 Both apartments have direct access to the large terrace overlooking the garden. The outdoor space offers it all, a nice swimming pool, an outdoor kitchen space with a bbq area and a very large set in cement and ceramic dining table. There are covered up terraces all around the villa with charming outdoor sets, perfect areas to relax or read a book in all tranquility. 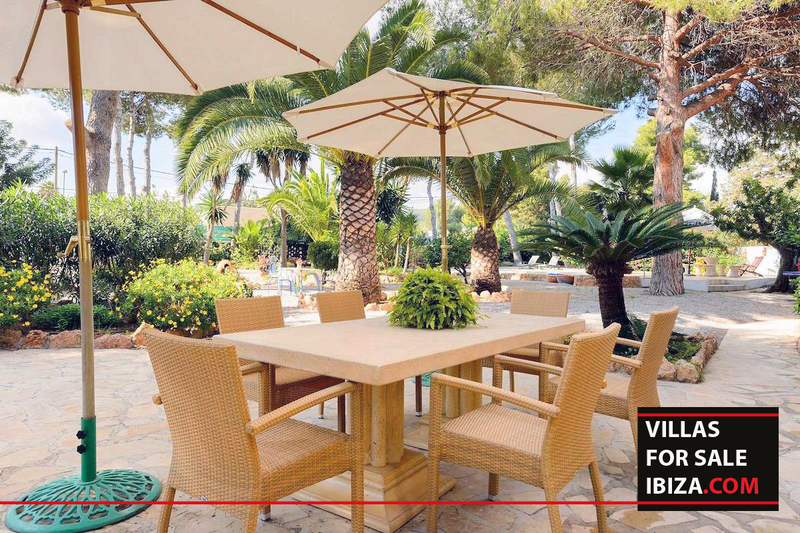 The land is big, well maintained and provides many areas to set a nice dining area anywhere you please close to the house with the pool view. This property is a great opportunity for a large family or to invite all your friends over.